It doesn't feel like it's been five years since the demise of the slightly ridiculous Test-Icicles, whose brief flame essentially paved the way for "nu rave". 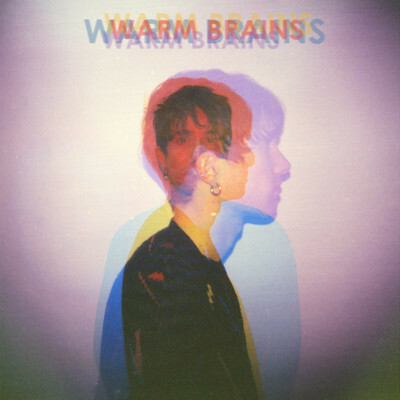 One of the trio, Rory Attwell has been particularly busy in the past few years, culminating in his current solo project, Warm Brains. Attwell has played in a few outfits post-Test Icicles, while also making a name for himself as a producer, under the pseudonym Rory Bratwell - twiddling the knobs on the Male Bonding album and the forthcoming Cymbals record, amongst others. But now he's concentrating on his own work. On this evidence, it's a smart move. His debut single, 'Old Volcanoes' is coming out on Marshall Teller, the label that released the debut 7" from The Vaccines. The single is perhaps unsurprisingly more upbeat than the rest of the Warm Brains material, which is typically dark and lo-fi. Listen to 'Old Volcanoes' and a whole host of other tracks below, including the haunting 'Rotunda'. 'Old Volcanoes' is out on April 14th (Thursday?!) on Marshall Teller.